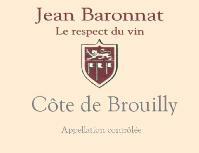 This family business created in the early last century led since 1985 by Jean-Jacques Baronnat, grand son of the founder. The 2006 selection of a fairly intense garnet with aromas of red berries (cherry). These accompany a mouth fresh and balanced with round tannins. You may enjoy this wine now or wait another two years.